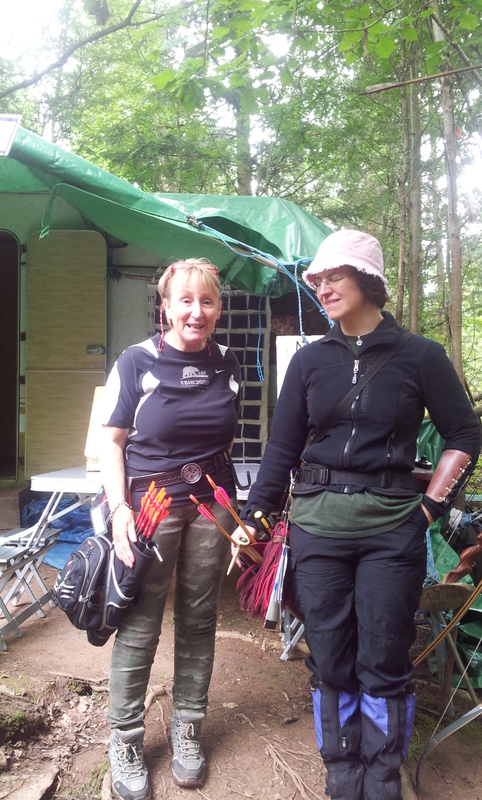 Earlier this month we headed just over the border to Monmouthshire for the annual Hawk archers shoot. Numbers were small with around 40-50 archers of mixed classes but that made for an easy flowing day and relaxed atmosphere. You can see a previous shoot report here. 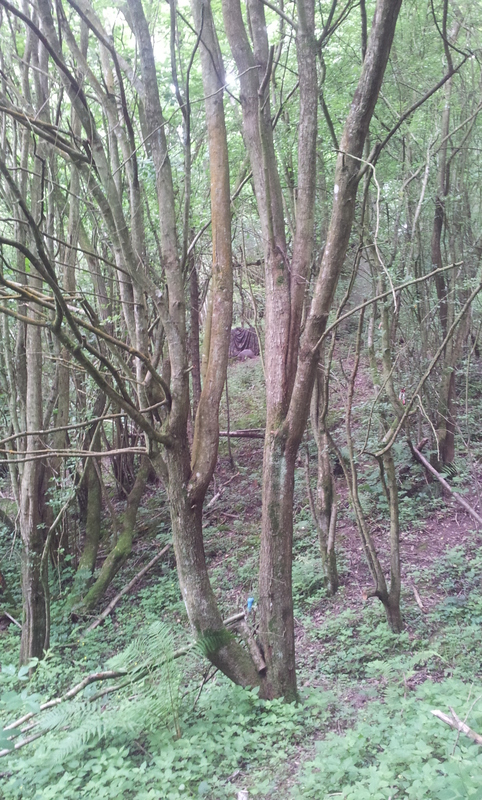 Opening shot at Hawk small brown 3D between trees. Hawks course layers set an enjoyable but challenging course with some very deceptively placed shots. 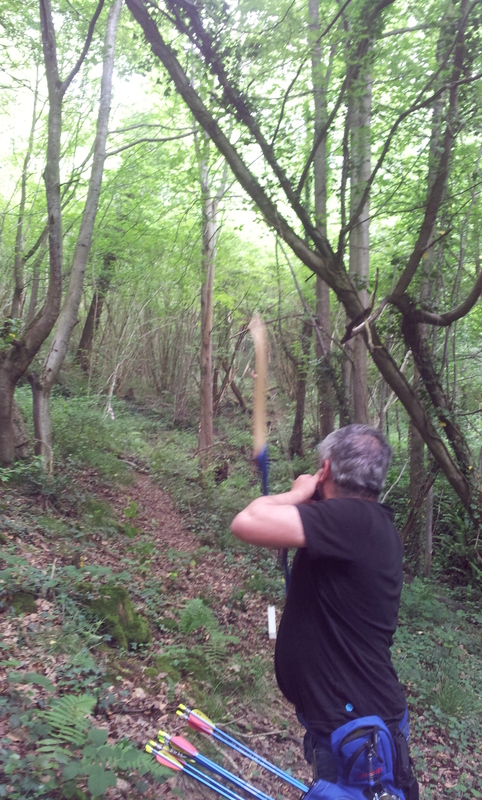 A number of times we would get to the target to realise it was either further or smaller than we thought. That’s not to say they were stretched but well placed. The course was a mix of 3d targets and a few hessian painted to a very high standard. Inter mixed were a couple of predator prey shots which Hawk scores slightly differently to other clubs. If you hit the predator with your first arrow you can go for the prey with your second arrow but only score max for a second arrow. Therefore if you get 24 points on the predator the max you can score on prey is 14 points. I think I prefer this scoring as you get a potential bonus but not a huge amount. 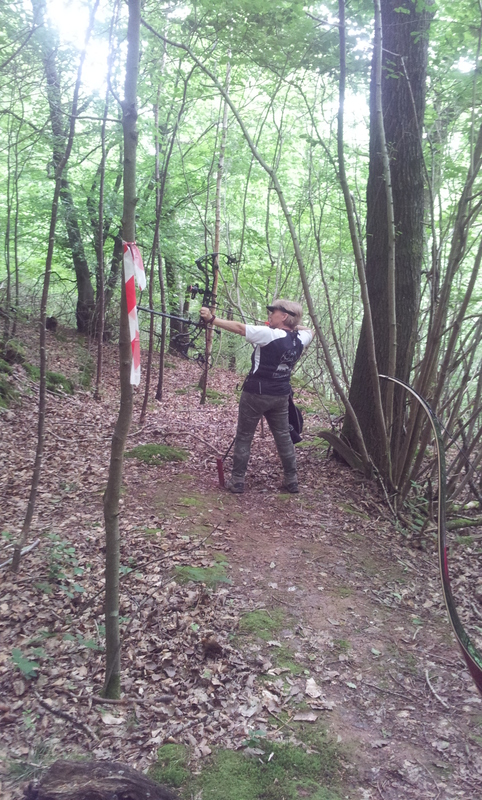 Hawk archers grounds is situated in a beautiful wooded hillside allowing them to put on shots both up and downhill. Shooting group for the day would be Sharon, myself Richie from DW Longbow (we shot with him at Wolverine) and Mary from svyf. The organisers worked hard to clear paths and cut in steps up and down the hillside which was much appreciated as the ground soil is quite heavy clay in parts making it quite slippery. As it was we enjoyed good weather with no rain and it being bright without it being too warm. Having said this I know Mary struggled at times to have enough light to see through her sights as the tree cover was pretty dense in parts. Only one shot annoyed me or i think could have been improved which was one between a V in a tree which you shot from about five to six yards. 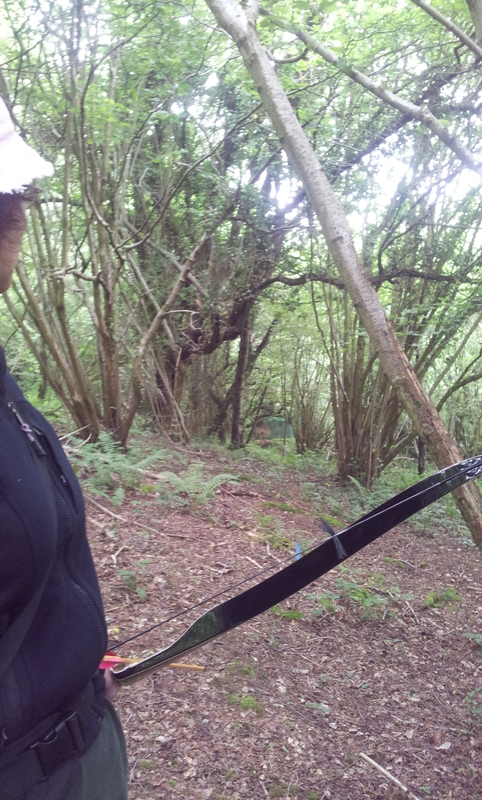 The gap was too tight for my arrows as they are still straightening at that distance. The result was two broken arrows. It was great to see Mary get round the course. 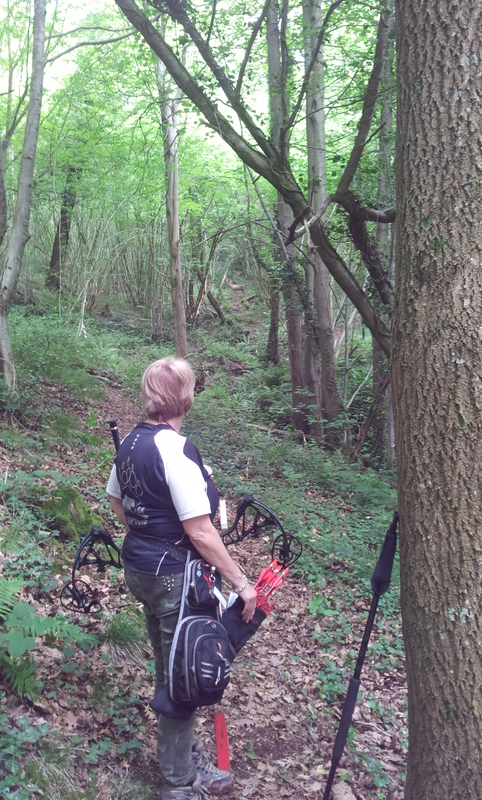 She had taken a really bad fall a few weeks ago at Charnwood shoot tearing the muscles in the left leg. The fact she could walk let alone get up and down the hillside. As for me I didn’t shoot well at all only coming in with 520ish long way off placing and a lot lower than I wanted. I’m going to have to work on my consistency of draw as I’m taking a lot of damage to my right ring finger tip. Congrats to Mary and Sharon who both got first places. Especially well done to young Alfie also from SVYF our a junior who shot really well coming first too.